At the FOMC meeting yesterday (17 June 2015), Chair Janet Yellen repeated that a rate hike was likely later this year, but that the final decision was highly data-dependent. We continue to expect the first hike to take place in September 2015, followed by a pause until early next year. In our view, yesterday’s meeting did not provide much new information overall, and left plenty of uncertainty about the timing of the initial increase in the Fed funds rate. 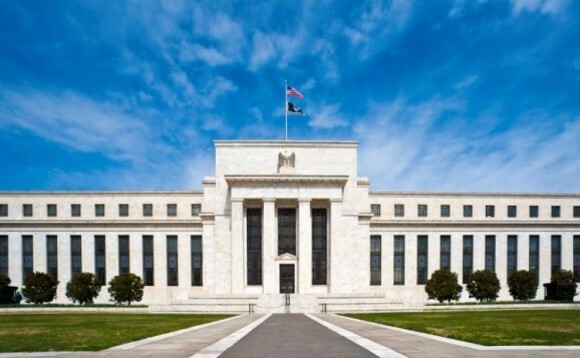 Basically, the Fed reaffirmed its rather vague forward guidance, with, most notably, the comment that a rate hike would be appropriate only when the Committee “has seen further improvement in the labour market and is reasonably confident that inflation will move back to its 2 per cent objective over the medium term”. Chair Yellen said that these conditions “have not yet been achieved”, that the Committee would like to see “more decisive evidence that a moderate pace of economic growth will be sustained”, and that the timing of the initial rate increase will be determined on a “meeting-by-meeting basis”. As for the economic situation, the Fed, in line with expectations, sounded more upbeat, acknowledging the improvement recorded by the economy since its previous meeting in April. Moreover, despite the small rebound in the unemployment rate in May, the Fed stated that since April “underutilization of labour resources diminished somewhat”. Without much surprise either, the GDP growth forecast for 2015 was revised down markedly. The middle of the central tendency for y-o-y growth in Q4 was revised down from 2.5% to 1.9%. Nevertheless, working on the hypothesis that the Q1 GDP number is not revised, this figure for 2015 implies an average growth rate of 2.8% q-o-q annualised over the remaining three quarters of 2015. And, on a yearly average basis, the above-mentioned FOMC projection ostensibly implies a growth rate of 2.2%, a figure not very far below our own forecast of 2.3%. Revisions to other economic projections were quite modest. Turning to Fed funds rate projections, the median forecast for end-2015 (middle of the expected range) was unrevised at 0.625%, which implies two hikes of 25bp before the year is out. However, expectations were widely split, with five participants expecting two 25bp rate increases, but just as many expecting only one move, and a further five projecting three hikes in 2015. As in March, two participants were projecting no hikes in 2015.